The panel regulates ICE's Dispute Resolution Services and is supported in this by the CPD Review Panel. The Dispute Resolution panel is made up of a variety of industry experts. Find out more about our panel chair and details of the panel's members. 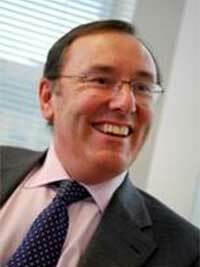 Raymond is a Fellow of ICE and a member of the ICE Legal Affairs Panel and BIM Action Group. Raymond is dually qualified as a solicitor and chartered civil engineer. If you have a question for our Dispute Resolution Panel, are interested in adding your input to the panel, or require details on the panel's output, then let us know.